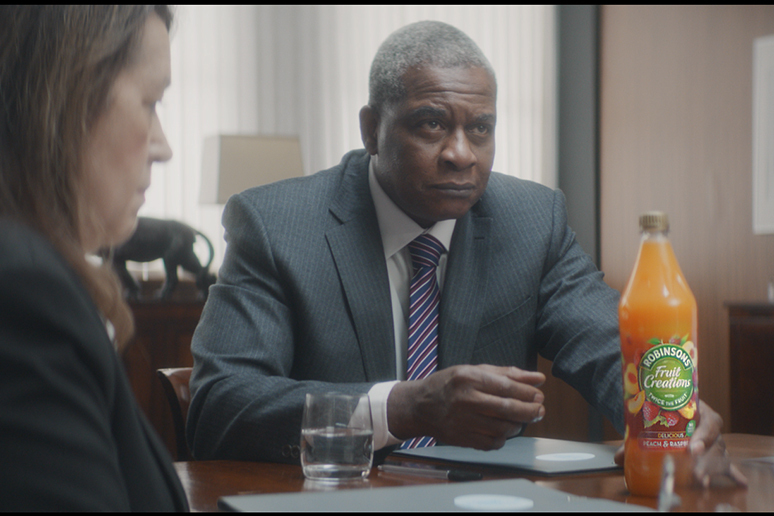 Saatchi & Saatchi's debut ad campaign for Robinsons features a "child squash expert" who pitches the Britvic brand's new Fruit Creations variant as a specialist squash for adults. The 40-second spot, which breaks on television today, is the first ad by Saatchis since it won the ad account for Britvic’s kids and family brand portfolio last year. The fast-paced ad features a young and confident girl who boldly tells a nation of grown-ups about Fruit Creations, which is "especially for grown-ups". Undeterred by the adult environs of company board meetings and court rooms, the girl assertively accosts various grown-ups with directions such as "Your life needs more fruit!" and "[Your glass] needs tastying up!" Fruit Creations, which went on sale last November, is being marketed to adults because it has "twice the fruit content of core Robinsons" and comes in the flavours Peach & Raspberry and Pear & Blueberry. Matt Barwell, chief marketing officer at Britvic, said: "Kids are currently seen as the main consumers of squash, so the creative is designed to help land the new adult proposition in a way that’s new for Robinsons and entertaining for adults, using the disarming wisdom of children." The ad was created written by Barney Spiro and art directed by Harriet Ronn at Saatchi & Saatchi. It was directed by Max Sherman through Blink and M/SIX is handling the media planning and buying. Robinsons' next campaign is scheduled for March, when it will launch a marketing push for the launch of Robinsons Fruit Cordial. Should the Coca-Cola truck be parked for good to combat the nation's obesity crisis? How do brands create healthy agency relations?